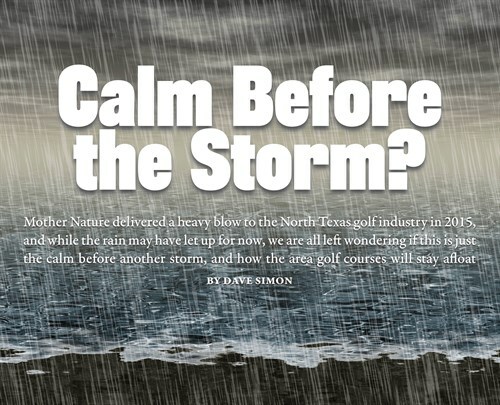 Part II of the story we put together for Avid Golfer magazine, addressing the effects of climate change on the golf industry: http://myavidgolfer.com/features/whats-a-city-to-do/. I was fortunate to be able to write a profile story in Referee Magazine on NFL Super Bowl Crew Chief Clete Blakeman in 2015. The story is attached. Having lived in Nebraska for five years, it was an awesome opportunity to be able to spotlight Clete and his Nebraska background. The attached story appeared in the February issue of Avid Golfer Magazine. It captures how golf courses and the golf industry are being affected by climate change in the Dallas-Fort Worth Metro area. Enjoy. When I die, I’ve asked that the phrase, “He Cared” be put on my gravestone. This I believe. Without caring for others, caring about the environment, caring where the world is headed or caring about (and for) the loved ones in our lives, we are nowhere as human beings. We will not survive without caring, and all that it entails: Taking action, thinking about how we affect others, finding the ties that bind us together. This foundation was solidified in my mid-20s when I spent time examining what was important to me. Oddly though, the impetus occurred a couple of years earlier. It just took a few years for it to move from a concept to a life principle. A woman I dated at the time lamented, “No one cares,” in reference to how people treat each other. The words hit me hard. The nature of caring implies continuity and connections with others. When we lose that, we lose something at the core of our human nature. We must care for others. I care for pets. Many care about their sports teams. Most Americans care about where the economy is headed. Maybe so much is going on these days that people feel it’s pointless to care. It’s not. If we stop caring, we begin to live in isolation. This is one of the problems we face today, as more people believe their way is the only way. Caring works to prevent that attitude. Caring is selfless rather than selfish, and we need more of that in world. I pushed a car of a stranger out of a snow bank 25 years ago because I cared about his safety. I work with my kids on their writing because I care about their future. I volunteer in our community because I care about the direction we’re headed. When I lose the “caring,” I lose everything. If no one cares, nothing gets done. When we stop caring, progress ends. Caring ensures things get better. Finding solutions to many of the complicated problems facing this country and the world is going to take a lot of caring from a lot of people. No, not everyone cares enough to change the world dramatically, but with a little more from everyone every day, we can keep making this orb an improved place for all of us stewarding its future. When I’ m ready to be lowered into the ground, I hope people say at the party after my funeral, “He cared. He acted. He did something about it.” This I believe.